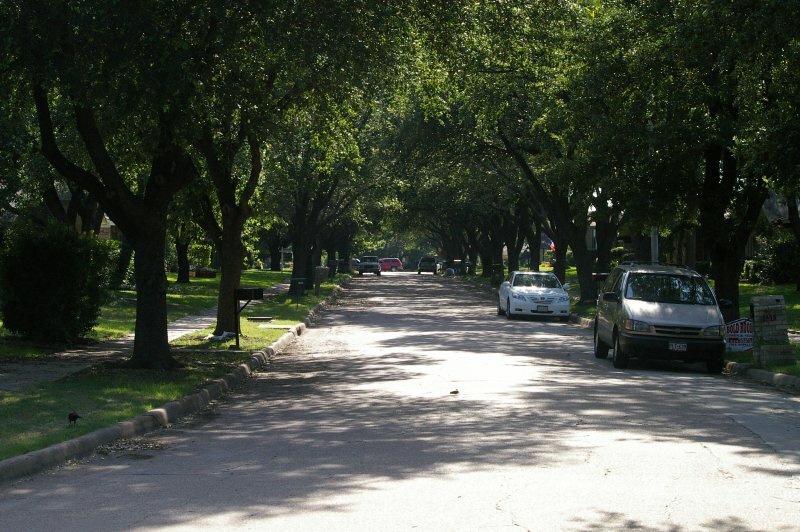 Chamberlain Drive in north Carrollton, Texas. In the trees that line this street are hundreds of birds and their nests. The Residents of this quiet suburban neighborhood have a problem. 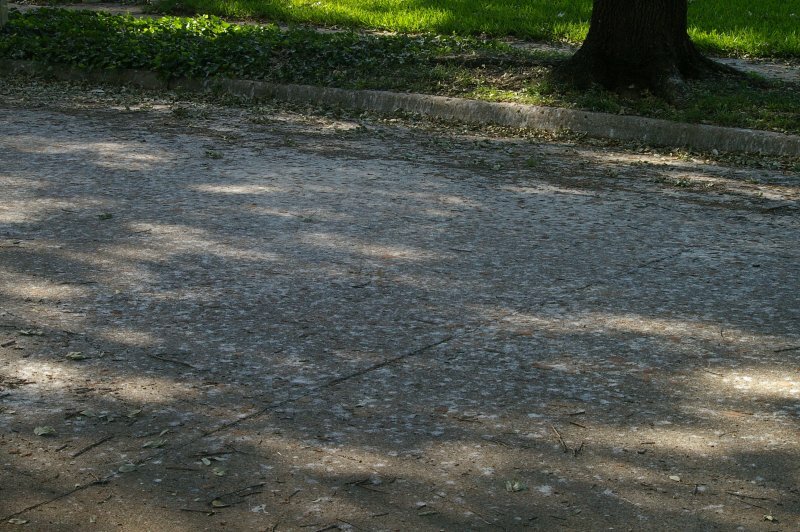 Their peaceful, tree-lined street has been invaded by an army of birds. 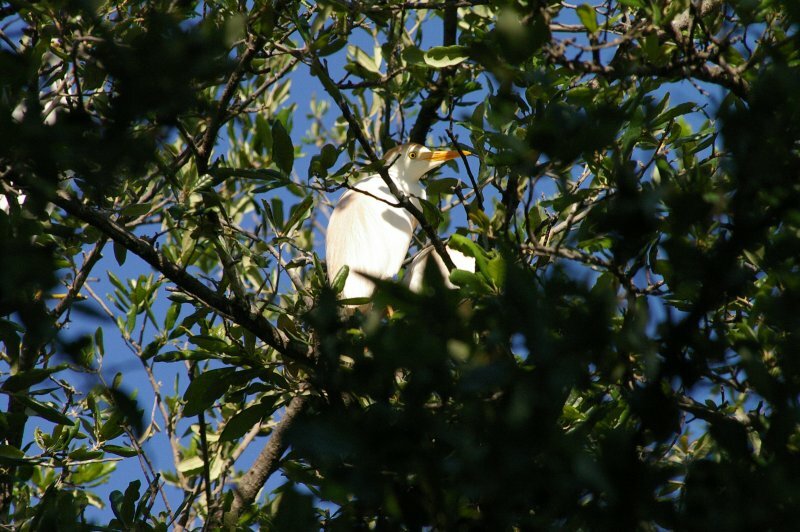 Hundreds of egrets and herons have chosen the thick canopy of trees along Chamberlain Drive in north Carrollton for their nesting site this year, and people who live there are not happy about it. 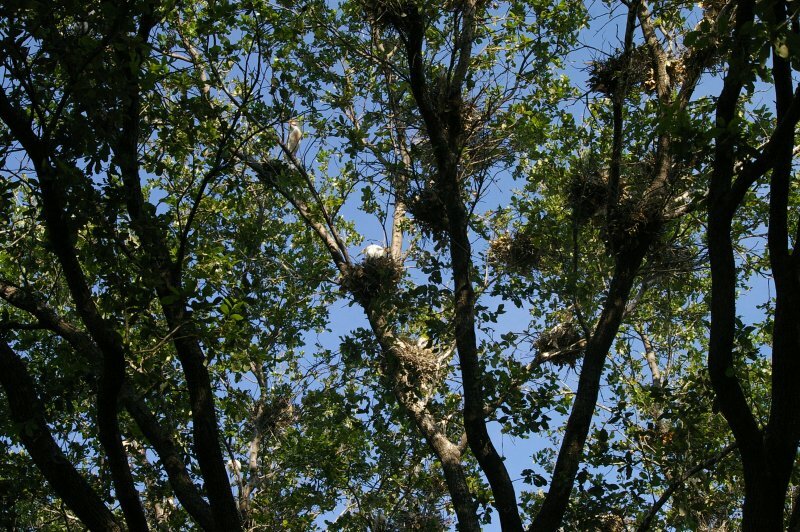 The trees along this street are full of egret and heron nests. 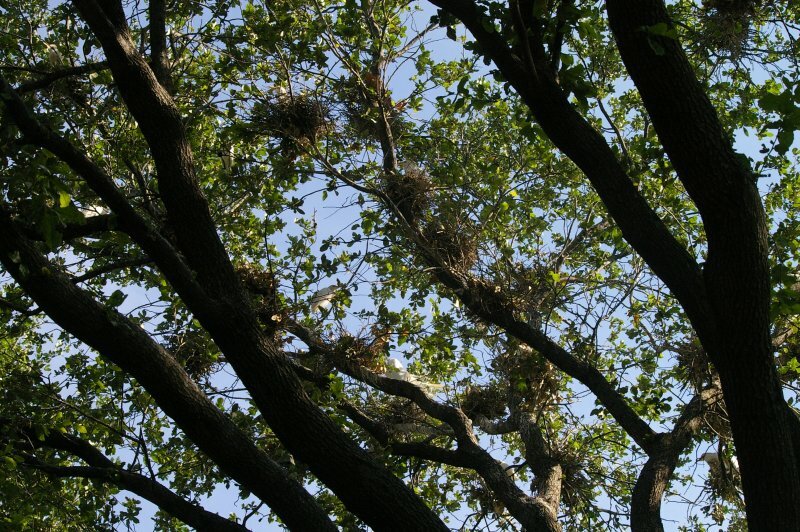 Almost every tree contains at least some nests. There are hundreds of birds at this site. 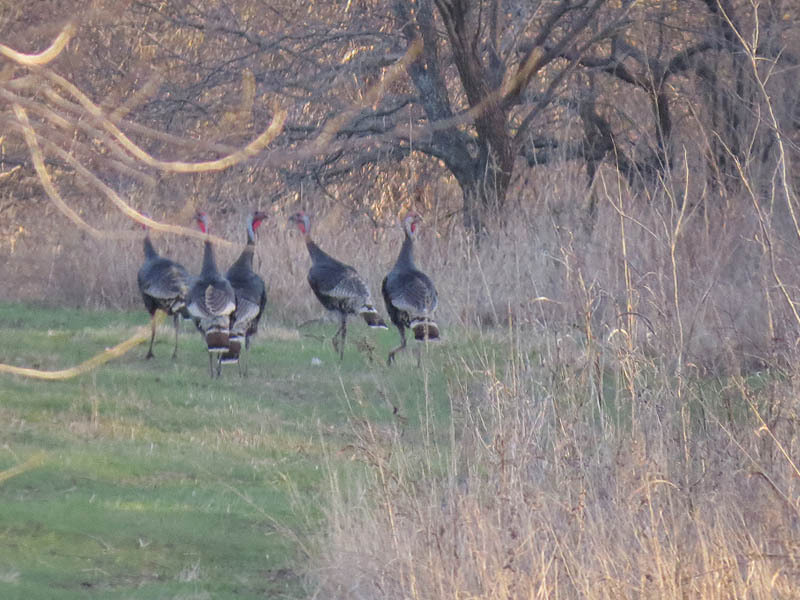 When a small number of the birds first arrived in early spring they were an interesting novelty to the people in this neighborhood. But, as the spring wore on, the number of birds steadily increased, and so did the amount of bird droppings, the noise level, and the strength of the odor. Like many animals that thrive in an urban environment, these birds quickly went from being a curiosity, to being a serious problem. 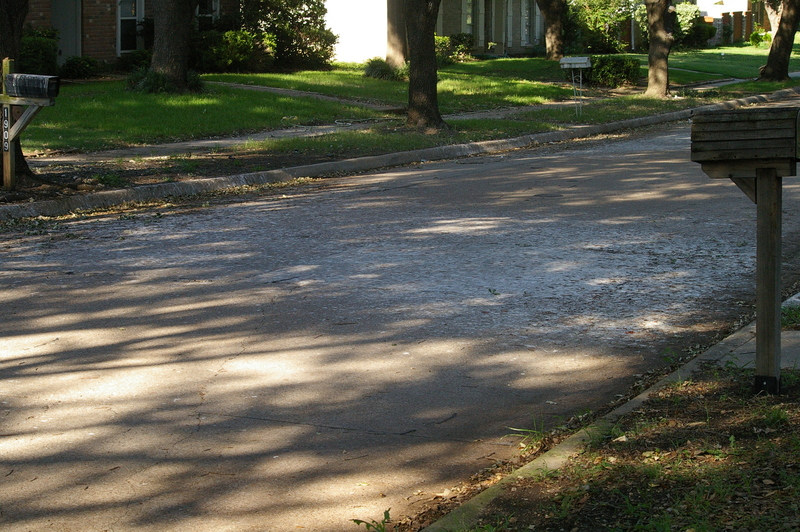 Sidewalks, yards, mailboxes, and cars were soon covered with a layer of thick, white bird droppings. The noise level increased as squawking birds created a never ending drone. Health concerns were raised, as there are a number of young children and elderly people who live in the neighborhood. 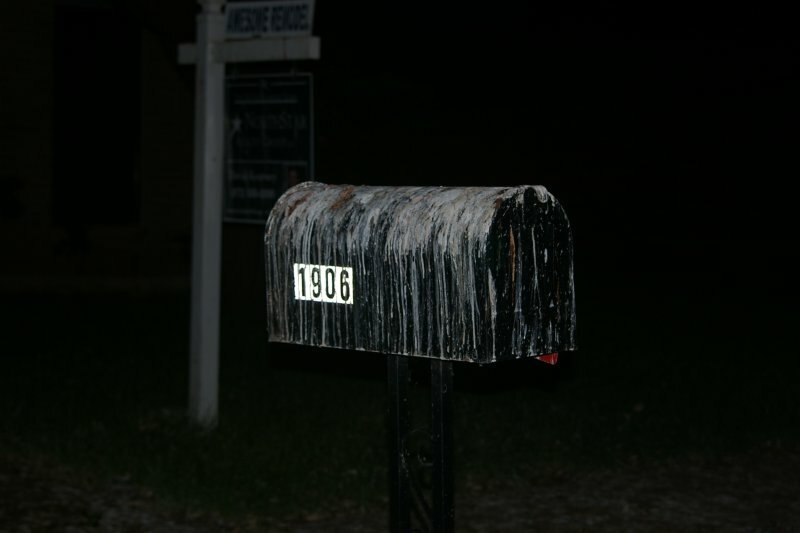 Would you check the mail in this mailbox? 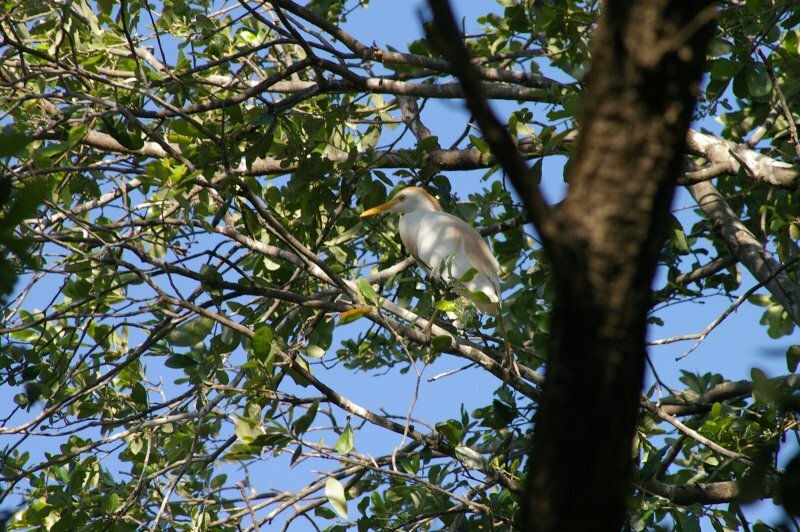 The rookery is home to a bevy of large, exotic looking birds, including Cattle Egrets, Snowy Egrets, Great Egrets, Black-crowned Night-Herons, and Little Blue Herons. 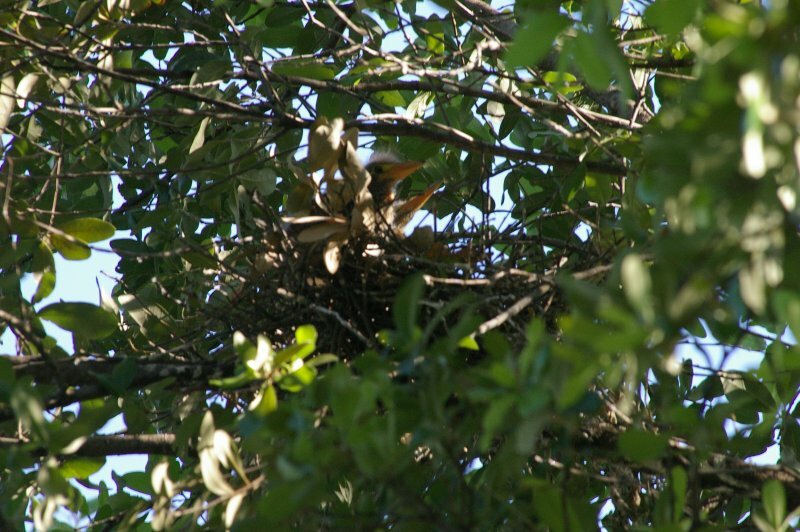 All are protected by state and federal law, and cannot legally be disturbed while nesting. 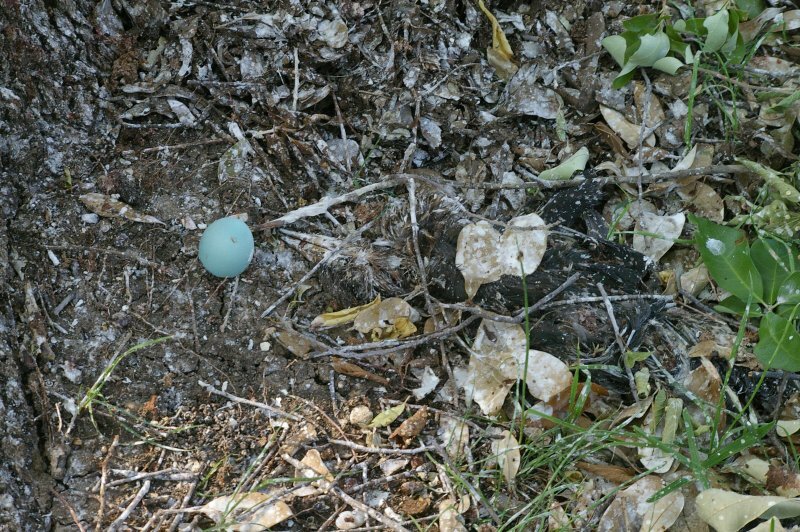 Their nests also fall under this protection and cannot be removed, even after the birds have left, without proper approval. 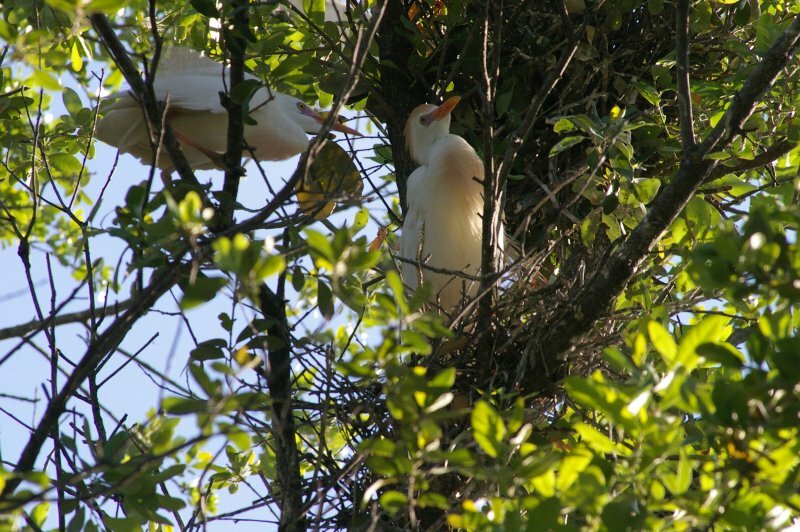 Adult Cattle Egrets tending a nest. 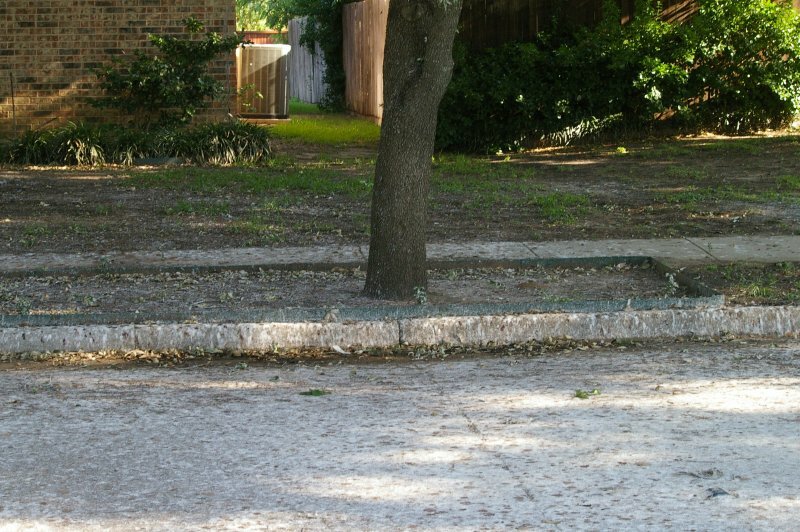 Some of the Chamberlain Drive residents have approached City of Carrollton officials for help, with mixed results so far. 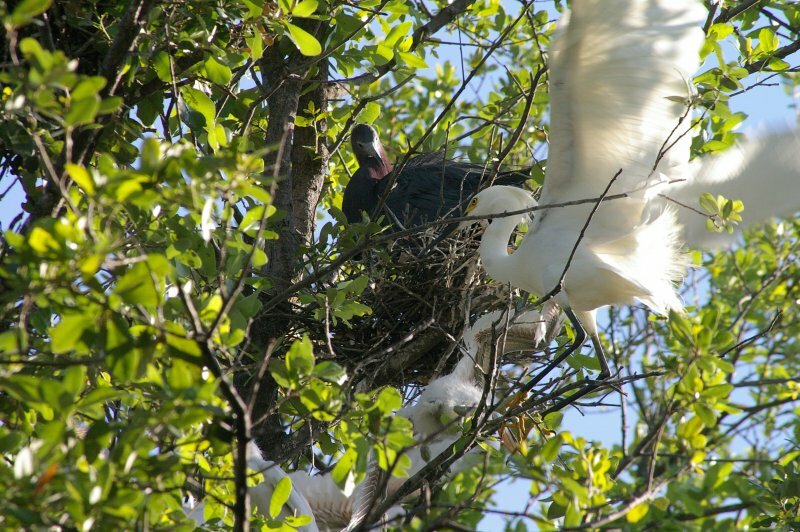 Carrollton has an inglorious history of dealing with situations like this dating back to their infamous and unfortunate handling of a rookery removal in 1989. In short, the city initiated the bulldozing of active rookery, and stirred up a hornet’s nest of controversy as a result. In the end, this episode of poor judgment cost several city officials their jobs, and resulted in a substantial fine, and much bad press for the City of Carrollton. You can read more about it here. 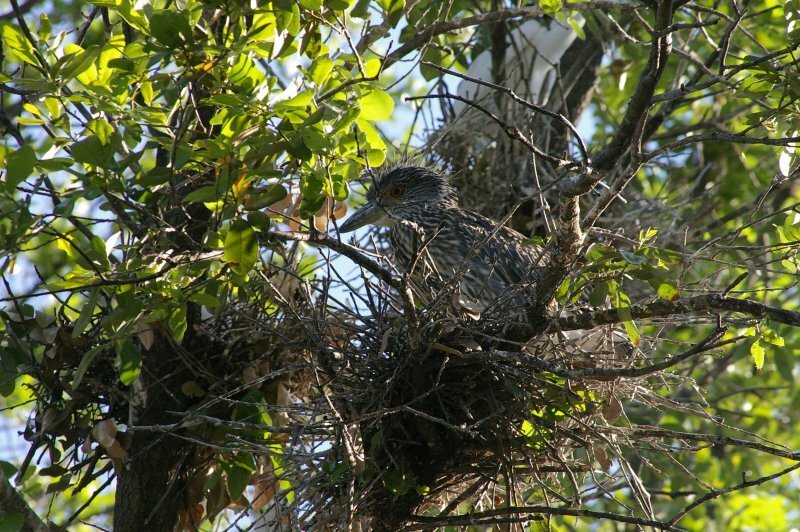 A juvenile Black-crowned Night-Heron in the nest. 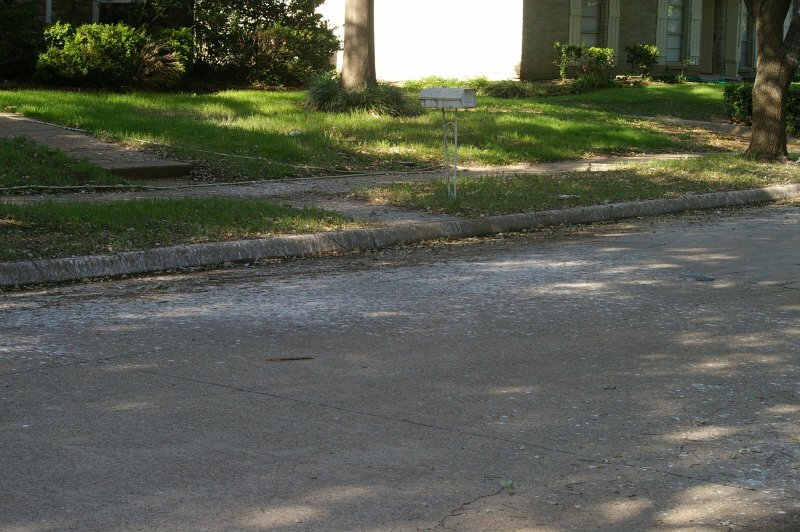 Because of the the mistakes made in the past, City of Carrollton officials are motivated to handle this new situation delicately, and have shown some reluctance to address the difficult issue of what to do about the birds. 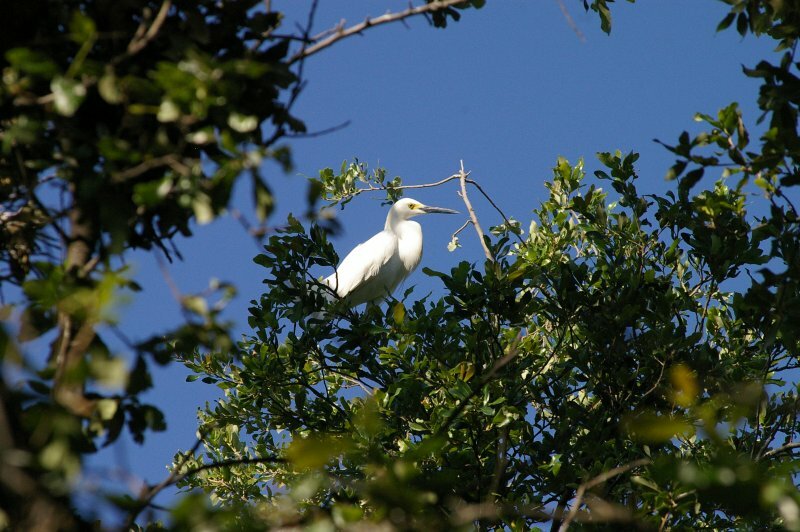 A Snowy Egret and a Little Blue Heron. 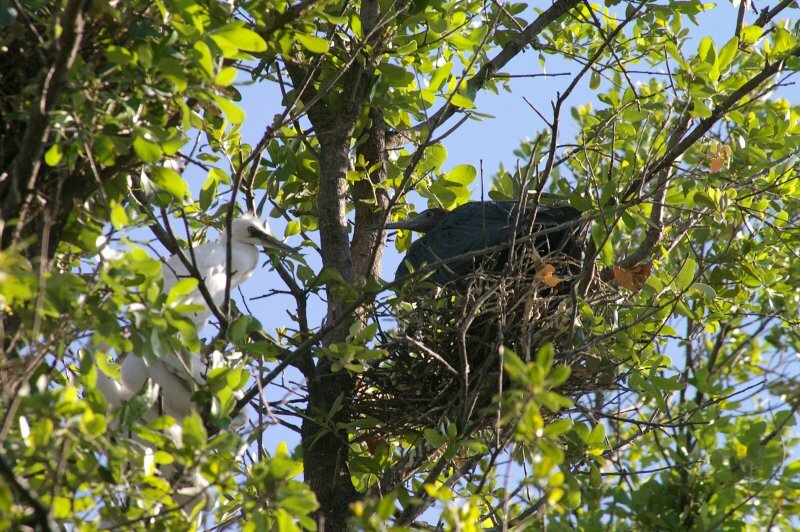 An adult Little Blue Heron and a Cattle Egret chick. Resolving this problem in a responsible way will be a tricky proposition. 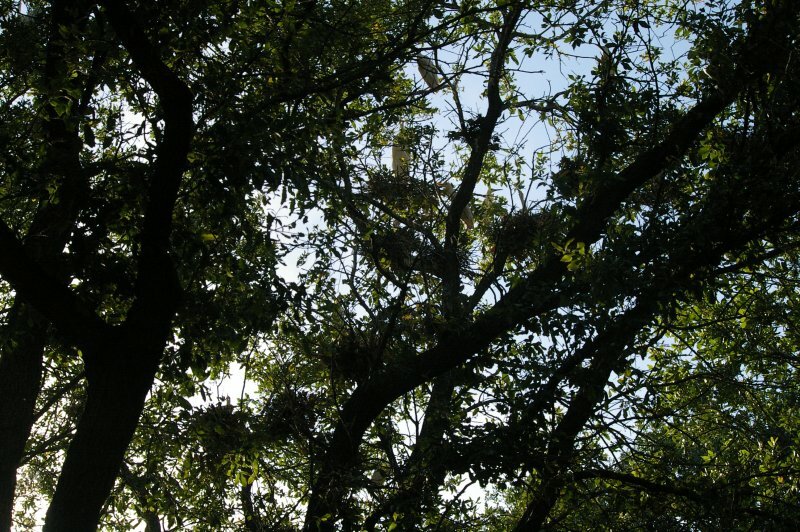 The birds will be nesting and raising young at this location through the end of September. To make matters worse, once a rookery like this is established, the birds are inclined to return to it year after year. 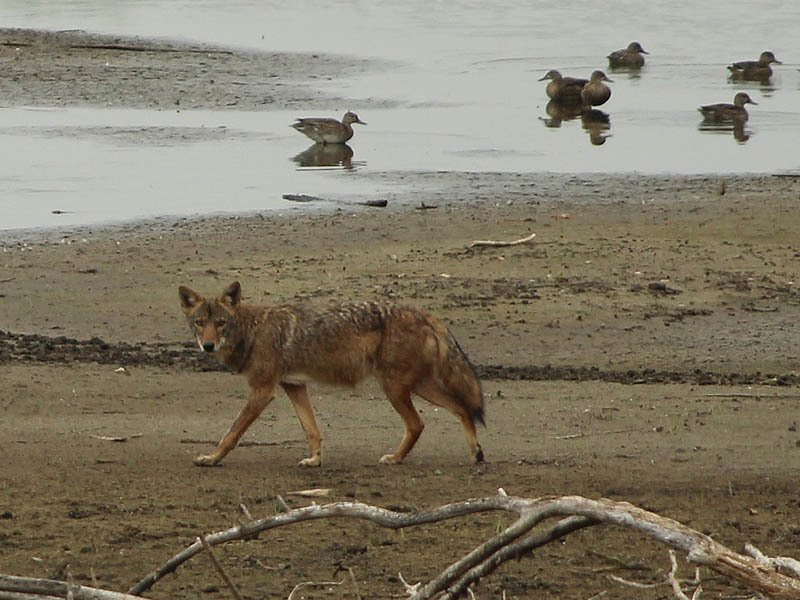 Federal and state laws limit what can be done even when the birds are no longer present. Any attempts to prevent the birds from nesting there again next spring will probably involve constant noise making—an unpleasant proposition in its own right. Further, encouraging the birds to leave might simply shift the problem to another street or nearby neighborhood. Ultimately, the solution to this problem will likely require the participation of the entire community, and not just those directly affected by it. 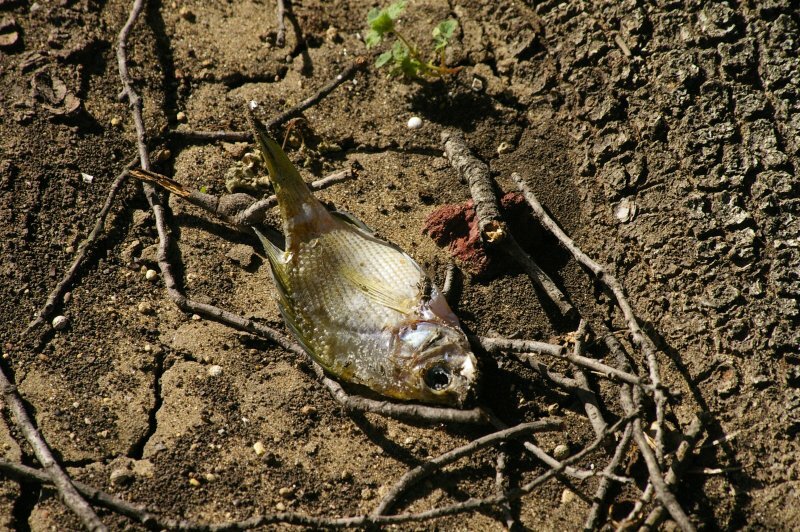 A dead fish on the ground under the rookery. 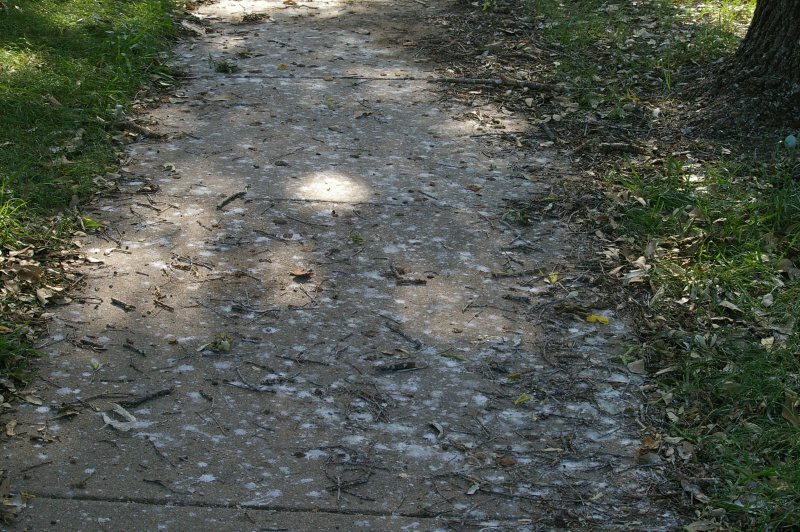 A sidewalk covered in bird droppings. 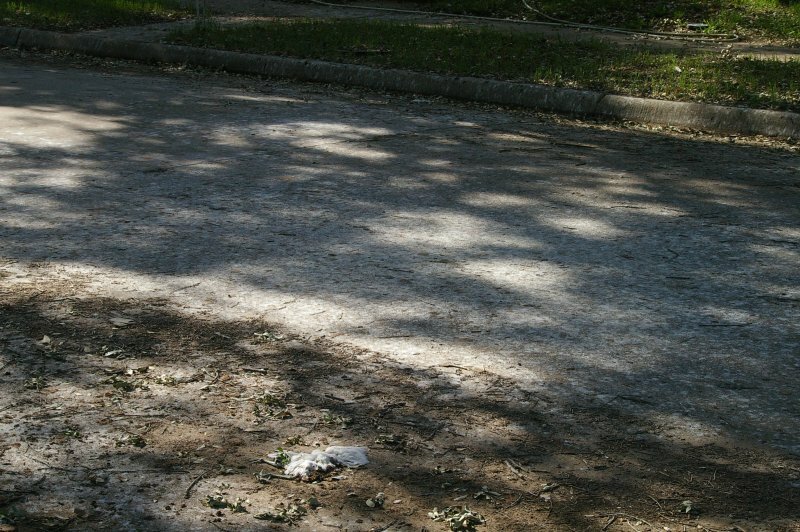 A portion of the Chamberlain Drive whitewashed with bird droppings. Notice the dead egret chick in the foreground. 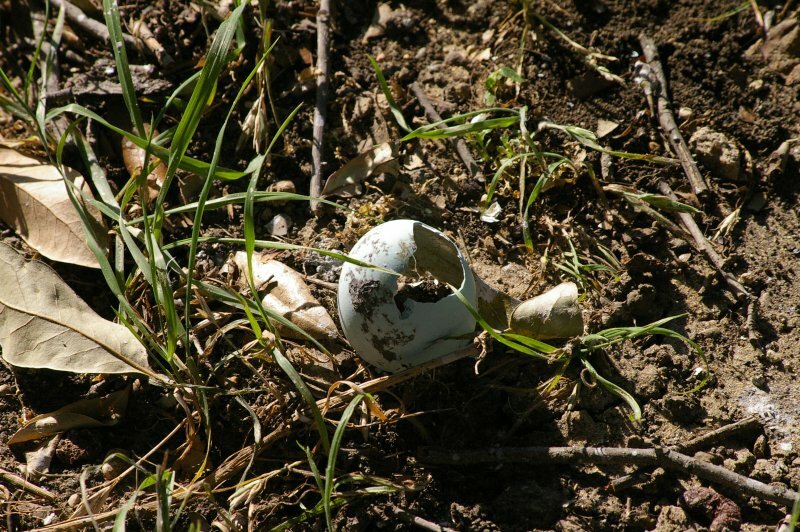 An eggshell next to a dead Black-crowned Night-Heron chick. Its a difficult situation for everyone involved, but the folks in this neighborhood need some relief. Hopefully, a solution can be found that protects both the birds and the people who call this street home. 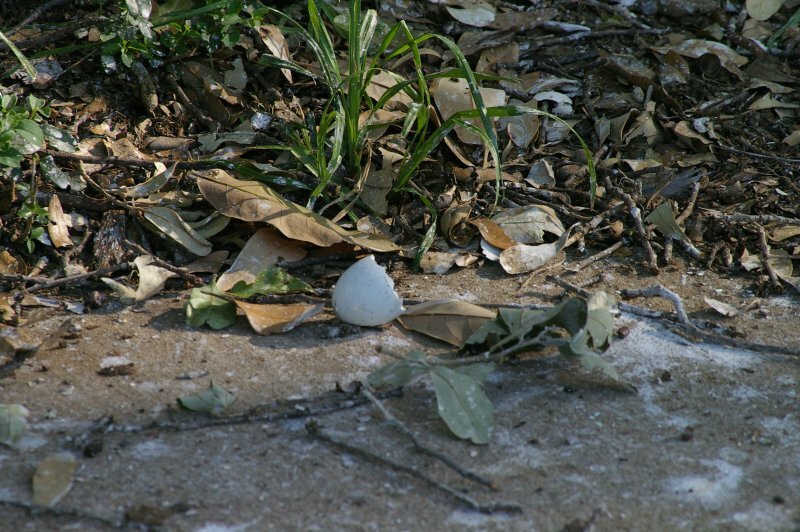 Eggshells littered the street, sidewalks, and yards. You would not want to park a car here. 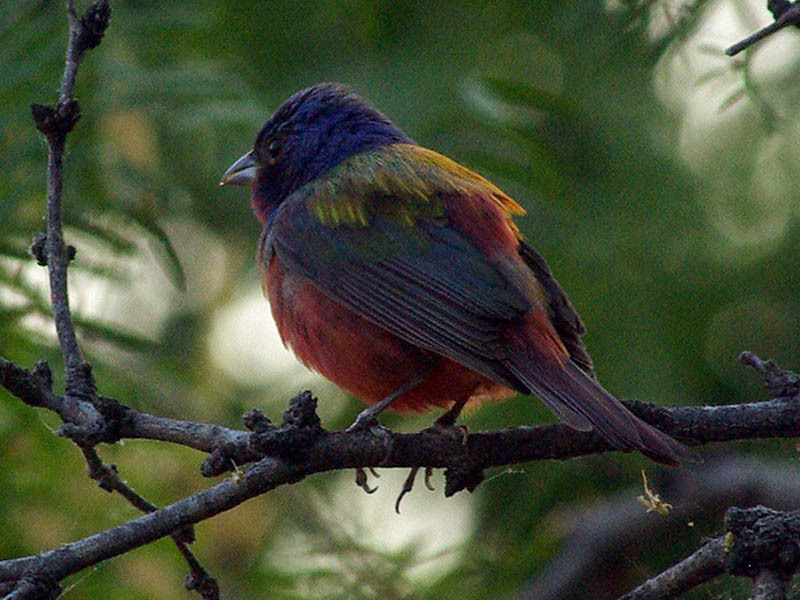 Painted Bunting – A First!